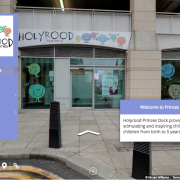 Holyrood nurseries offer fantastic childcare in a stimulating environment and the Google tour is able to capture the building to share this online. We were able to get down to Liverpool one Saturday Morning and work alongside the managers out of hours to ensure the nursery looked it’s best and we were able to shoot quickly and efficiently. The staff were able to layout the rooms as they wished with all the great activities they have and we were able to take our cameras through the entire nursery (toddler free!). The tour appears in Google on the business listing and from there we have also created an Overlay which adds additional features like navigation, auto spin, text boxes and company branding. 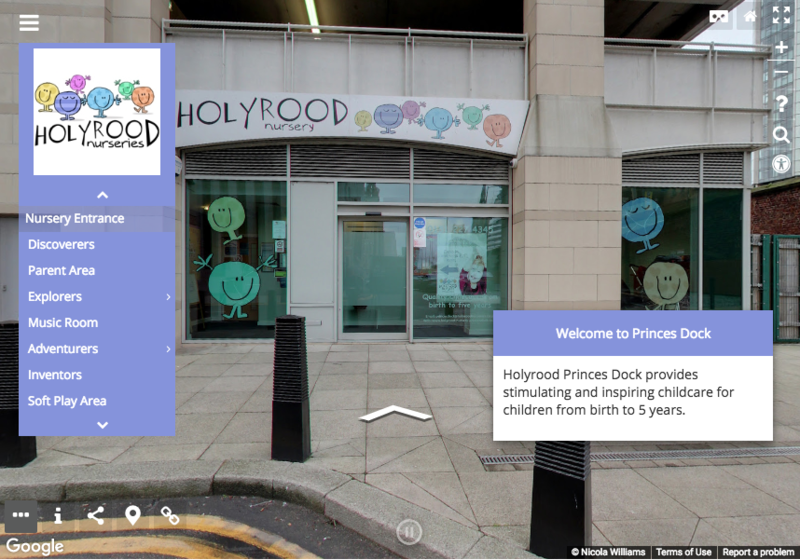 This overlay is now embedded on the Holyrood Princes Dock website for all their prospective parents to see!